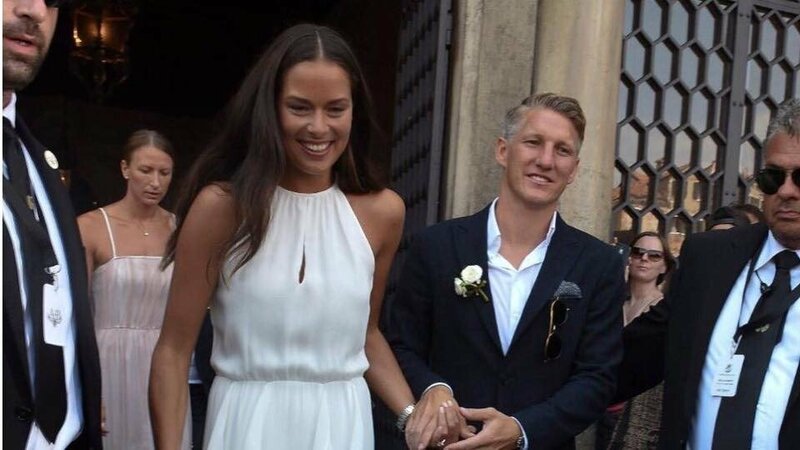 Earlier it was reported that the wedding will take immediately after the European football championship. 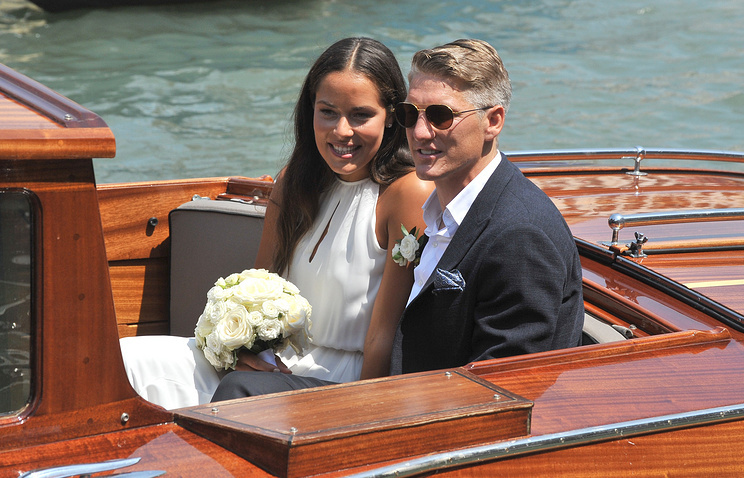 According to the media, the civil ceremony took place on Tuesday in the Italian Venice, and on Wednesday the couple got married in the church. The celebration was attended by Germany skier Felix Neureuther, former Bavaria president Uli Hoeness, a partner in the national team of Germany Schweinsteiger, Thomas Muller, the head coach of the national team Joachim Löw and a few players. Earlier, the German tabloid reported that the couple sent out wedding invitations with the date July 12. This wedding location was kept secret, and all guests flown in on a private jet. Ivanovic, ranked 25th in the world rankings, won 15 titles on the WTA tournaments, including the won of the "Roland Garros". Schweinsteiger is eight-times German champion and winner of the Champions 2012/13 League. As part of the German national team he won the world championship and won silver and bronze at the European Championships. 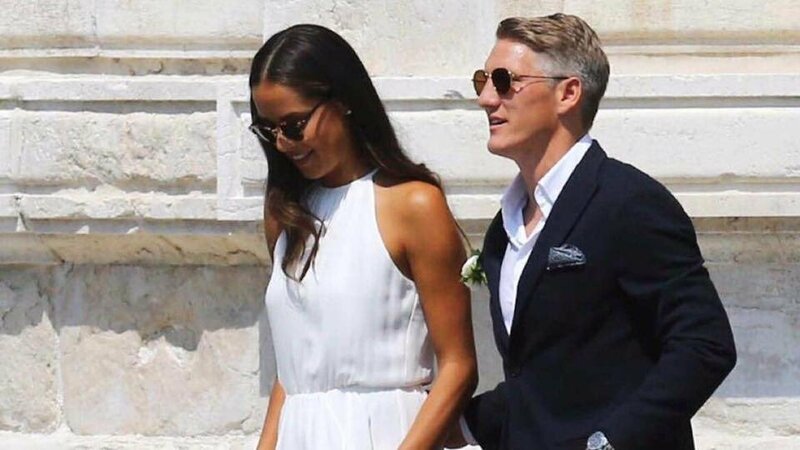 Wedding of German midfielder Bastian Schweinsteiger and Serbian tennis player Ana Ivanovic takes place in Venice, according to Bild. The newlyweds rode on the boat and in the coach. And a grand banquet is planned in the evening. 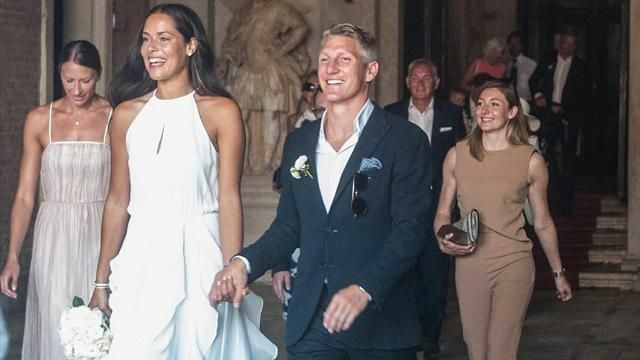 It was noted earlier that the wedding will be attended by German Football Coach Joachim Loew, Bavaria president Uli Hoeness and Germany striker Thomas Muller. The event will take place at the seven-star hotel.